Whew! I’m finally back on track and actually blogging about what happened today! Apparently, there is quite the storm brewing outside tonight but what better reason to get up to date? Our schedules here at fresh inc festival are absolutely stuffed to the gills with rehearsals, workshops, auditions, performances, seminars, and lessons. Today was no different. We began the day with a Rehearsal Coaching Workshop in which we discussed and faculty/participants modeled good techniques for ensembles while rehearsing Stacy Garrop’s “Frammenti” and Beethoven Septet. Have you ever struggled with colleague making sure that you are in tune and/or subdividing in the same manner? Have you ever struggled through unproductive rehearsals because you continue to run the piece without fixing little issues? If so, this was a must-see workshop. Determining which instrument is the “standard for pitch” in your ensemble is just one of the many ways that you can get more out of your time together. Those rehearsal techniques can be extreme time savers and can even save you money when you consider time spent in a recording studio fixing things that could have been resolved in rehearsal. Recording and record labels were also on the agenda today with a visit from Nancy Bieschke of Cedille Records. Nancy ably provided information to the participants about what to look for in a record label. She stressed working with a label that has a good reputation and puts you in the studio with talented professionals. Obviously, one of the themes of this festival is to follow your own path. Nancy added another level to this with, “the entries to our label are as diverse as the numbers of people on our label.” She also shared a story about a young pianist who sent her some very fine, even fantastic, recordings. “But,” she laments, “was any of it new? [She shook her head.] But, now I keep seeing his name pop up around the Chicago music scene. If he came back with something new, different, unique – I would definitely consider it.” Such to say: it doesn’t necessarily pay to play it safe when you are approaching labels. 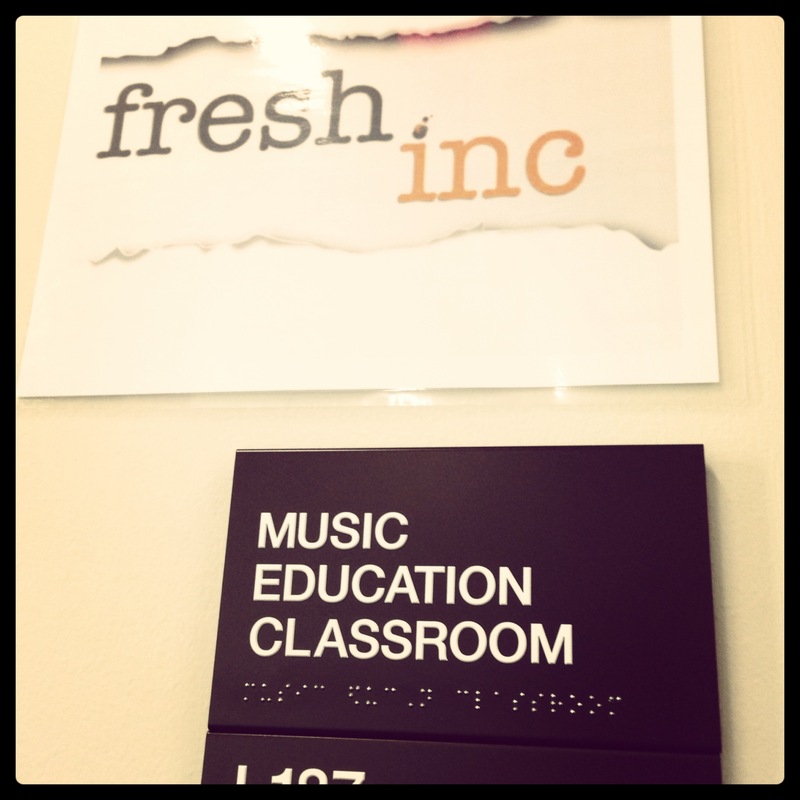 Make sure you check out the official fresh inc 2013 festival blog, if you want more info about our daily activities.